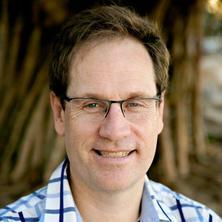 Dr Anthony Herbert has trained in paediatrics at both the Mater Children's and Royal Children's Hospitals in Brisbane. He also worked at the Alberta Children's Hospital in Calgary, Alberta, Canada for a year in 2001. He completed training in paediatric medical oncology. He subsequently completed a fellowship in paediatric palliative care working with both adults at the Mater Health Services and with children at The Children's Hospital at Westmead (CHW) in Sydney, Australia. At CHW, he was able to gain a broad exposure to all aspects of pain medicine and palliative care including experience in the use of patient controlled analgesia (PCA), multi-disciplinary management of persistent pain and hospice care (at Bear Cottage). During this time, he developed a particular interest in cancer pain management. Anthony commenced work as a Staff Specialist in Paediatric Palliative Care with Children's Health Queensland Hospital and Health Service in September 2008. At this time he was based at the Royal Children's Hospital, Brisbane, but also consulted at the Mater Children's Hospital, Brisbane. In November 2014, the Lady Cilento Children's Hospital (LCCH) opened in Brisbane. Anthony became the Director of the Paediatric Palliative Care Service at LCCH in June 2015. Research interests have included telehealth, insomnia, music therapy, perinatal palliative care, service development, respite provision and communication in paediatric palliative care. He has also had an interest in education related to palliative care - for undergraduates and post graduate students. More recently he has been involved in the Quality of Care Collaborative of Australia (QuoCCA) which is a national project (funded by the Department of Health, Commonwealth) looking at education provision, particularly in rural and remote settings. As part of this work, Anthony has also developed an interest in the education of undergraduate students in paediatric palliative care, particularly at the time of short clinical placements. In this context, he has found the resources of the Palliative Care Curriculum for Undergraduates (PCC4U) particularly helpful. His interest in providing education has also extended to Vietnam and Malaysia. Dr Anthony Herbert was Chair of the Australian and New Zealand Paediatric Palliative Care National Reference Group from 2012 - 2013. He has also been chair of the Palliative Care Working Group of the Child and Youth Network in Queensland from 2012. Anthony has also been a committee member of the Chapter of Palliative Medicine linked to the Royal Australasian College of Physicians. He was involved in the recent writing of "Palliative Care" (Version 4) with Therapeutic Guidelines. He has also been an active contributor to the national resource "A Practical Guide to Palliative Care in Paediatrics". Journal Article: Palliative Care in Adolescents and Young Adults With Cancer-Why Do Adolescents Need Special Attention? Palliative Care in Adolescents and Young Adults With Cancer-Why Do Adolescents Need Special Attention? Herbert, A.R. (2016) Perinatal palliative care. Luke's Journal, 21 2: 36-38. Lemay, Jean-François, Herbert, Anthony R., Dewey, Deborah M. and Innes, A. Micheil (2003) A rational approach to the child with mental retardation for the paediatrician. Paediatrics and Child Health, 8 6: 345-356. Herbert, A (2001) The Helicobacter hypothesis. Medical Journal of Australia, 174 7: 366-366. Baggio, Sarah, Herbert, Anthony, Delaney, Angela, McLarty, Alison, Slater, Penny, Donovan, Leigh, Pedersen, Lee-Anne and Johnson, Susan (2017). A national quality of care collaboration to improve paediatric palliative care outcomes. In: Leanne Coleman, 14th National Rural Health Conference Proceedings. National Rural Health Conference, Cairns, Australia, (). 26 - 29 April 2017. Herbert, A., Sen Gupta, S., Sargent, P., Crowe, L., Kelly, G., Joy, K. and Bradford, N. (2016). Components of good end of life care within the paediatric intensive care setting – an online survey. In: 2nd Annual Children's Health Queensland Research Symposium, Brisbane, Australia, (). 2-3 November 2016. Herbert, A., Baggio, S., Slater, P., Pedersen, L.-A. and Delaney, A. (2016). Improving nation-wide outcomes for children and families supported by paediatric palliative care. A national quality of care collaborative. In: 3rd Congress on Paediatric Palliative Care - A Global Gathering, Rome, Italy, (). 16 - 19 November 2016. Herbert, A., Baggio, S., Slater, P. and Pedersen, L.-A. (2016). Improving the Nation-wide Outcomes for Children and Families Supported by Paediatric Palliative Care: Phase 1 Learning Needs and Capability, a National Quality of Care Collaborative. In: 3rd Congress on Paediatric Palliative Care - A Global Gathering, Rome Italy, (). 16 - 19 November 2016. McLarty, A., Herbert, A., Baggio, S., Delaney, A., Duc, J., Pedersen, L. and Slater, P. (2016). Improving the nation-wide outcomes for children and families supported by paediatric palliative care: A national collaboration. In: 4th Australian Palliative Care Research Colloquium, Melbourne, Australia, (). 27-28 October 2016. Improving the nation-wide outcomes for children and families supported by paediatric palliative care: phase 1 learning needs and capability. A national quality of care collaboration. Baggio, S., Herbert, A., McLarty, A., Delaney, A., Duc, J., Pedersen, L. and Slater, P. (2016). Improving the nation-wide outcomes for children and families supported by paediatric palliative care: phase 1 learning needs and capability. A national quality of care collaboration.. In: 4th Australian Palliative Care Research Colloquium, Melbourne, Australia, (21-21). 27-28 October 2016. Delaney, Angela and Herbert, Anthony (2016). Music therapy & paediatric palliative care: translating research into clinical practice to improve the effect of music therapy on perceived pain for children with life-limiting illness and their families. In: Australian and New Zealand Children's Haematology / Oncology Group Annual Scientific Meeting, Carins, Australia, (). 23-25 June, 2016. Delaney, Angela and Herbert, Anthony (2016). Music therapy and paediatric palliative care: the effect of music therapy on perceived pain and memory making. In: 4th Australian Palliative Care Research Colloquium. 4th Australian Palliative Care Research Colloquium, Melbourne, Australia, (20-20). 27-28 October 2016. Delaney, A. and Herbert, A. (2016). Music therapy and paediatric palliative care: translating research into clinical practice to improve the effect of music therapy on perceived pain for children with life limiting conditions and their families. In: 3rd Congress on Paediatric Palliative Care - A Global Gathering, Rome, Italy, (). 16-19 November 2016. Hebert, A., Baggio, S. and Donovan, L. (2016). Paediatric Palliative Care - Models of Care. In: 15th Annual Research Conference, Centre for Palliative Care Research and Education, Brisbane, Australia, (). 6 May 2016. Herbert, Anthony, Slater, Penny, Pedersen, Lee-anne, Johnson, Susan, Irving, Helen, McLarty, Alison, Baggio, Sarah, Delaney, Angela, Duc, Jacqueline, Phillips, Marianne, Momber, Suzanne, Burr, Charlotte, Hynson, Jenny, Heywood, Melissa, Ryan, Sharon, Trethewie, Susan, Fleming, Sara and Duffield, Julie (2016). Quality of Care Collaborative Australia (QuoCCA) for paediatric palliative care education. In: The Children's Hospital at Westmead 12th Annual Paediatric Palliative Care Symposium, Sydney, Australia, (). 3 March 2016. Herbert, A., Slater, P., Pedersen, L., Johnson, S., Irving, H., McLarty, A., Baggio, S., Delaney, A., Duc, J., Phillips, M., Momber, S., Burr, C., Hynson, J., Heywood, M., Ryan, S., Trethewie, S., Fleming, S. and Duffield, J. (2016). Quality of Care Collaborative for Paediatric Palliative Care in Australia (QuoCCA). In: Caring for Country Kids, Alice Springs, Australia, (). 17-19 April 2016. Herbert, Anthony, Slater, Penny, Pedersen, Lee-anne, Johnson, Susan, Irving, Helen, McLarty, Alison, Baggio, Sarah, Delaney, Angela, Duc, Jacqueline, Phillips, Marianne, Momber, Suzanne, Burr, Charlotte, Hynson, Jenny, Heywood, Melissa, Ryan, Sharon, Trethewie, Susan, Fleming, Sara and Duffield, Julie (2016). Quality of Care Collaborative of Australia (QuoCCA) for paediatric palliative care (PPC). In: 2nd Annual Children's Health Queensland Research Symposium, Brisbane, QLD, Australia, (). 2-3 November 2016. Herbert, A., Delaney, A., Baggio, S., Slater, P., McLarty, A., Johnson, S. and Pedersen, L.-A. (2016). QuoCCA - Quality of Care Collaborative for Paediatric Palliative Care in Australia. In: Australian and New Zealand Children's Haematology / Oncology Group, Cairns, Australia, (). 23-25 June 2016. Herbert, A., Smith, C. and Graham, C. (2016). Respite needs of families receiving palliative care. In: 2nd Annual Children's Health Queensland Research Symposium, Brisbane, QLD, Australia, (65-65). 2-3 November 2016. Duc, J. and Herbert, A. (2016). Use of Methylphenidate in a Paediatric Oncology Patient with Fatigue. In: 3rd Congress on Paediatric Palliative Care - A Global Gathering, Rome, Italy, (). 16 - 19 November 2016. Herbert, A. (2014). Development of a clinical tool to assist in resuscitation planning for children: an iterative process. In: International Conference on End of Life 2014: Law, Ethics, Policy and Practice, Brisbane, (). 13 - 15 August 2014. Herbert, A., Mott, C. and Stepanov, N. (2014). The Disclosure Spectrum: Exploring levels of disclosure about prognosis to children with terminal illness. In: International Conference on End of Life 2014: Law, Ethics, Policy and Practice, Brisbane, Australia, (). 13 - 15 August 2014. Pedersen, Lee-Anne, Herbert, Anthony and Bradford, Natalie (2013). Learning after a child's death. In: 12th Australian Palliative Care Conference, Canberra, Australia, (). 3 - 6 September 2013. Herbert, A., Bradford, N., Pedersen, L.A., Kurth, L. and Irving, H. (2013). Paediatric Palliative Care: Service Development, Referrals and Outcome Over Two Years. In: The 27th Congress of the International Pediatric Association, Melbourne, Australia, (). 24-29 August 2013. Herbert, A. and Bradford, N. (2013). Paediatric palliative care – neurodegenerative case studies. In: 12th Annual Research Conference, Centre for Palliative Care Research and Education, Brisbane, Australia, (). 19 April 2013. Sarpal, A., Herbert, A. and Lockwood, L. (2011). Approach to Pain Management in Paediatric Palliative Care: Methadone – The New Kid on the Block. In: 11th Australian Palliative Care Conference, Cairns, Australia, (). 30 August - 2 September 2011. Gillam, L. and Herbert, A. (2010). Ethics and End-of-Life Decision Making. In: The Children's Hospital at Westmead 7th Annual Paediatric Palliative Care Symposium, Sydney, Australia, (). 4 March 2010. Herbert, A. (2008). Sleepless in Sydney – A survey of sleeping patterns in hospitalised children with life limiting conditions. In: 5th Annual Paediatric Palliative Care Symposium, Westmead, Sydney, (). 7 March 2008. Herbert, A., de Lima, J. and Collins, J. J. (2007). Sleep Quality - An outcome for Peri-Operative Analgesia. In: Society for Paediatric Anaesthesia in New Zealand and Australia Annual Scientific Meeting, Fremantle, Australia, (). 2 - 4 November 2007. Herbert, A., Irving, H. and Lockwood, L. (2007). Use of complementary and alternative medicine in children with acute lymphoblastic leukaemia on maintenance chemotherapy. In: Australian and New Zealand Children's Haematology and Oncology Group Annual Scientific Meeting, Sydney, Australia, (). 25-27 May 2007. Herbert, Anthony and Irving, Helen (2006). Children with advanced neuroblastoma-two case studies of paediatric palliative care. In: The Centre for Palliative Care Research and Education 5th Annual Research Conference, Brisbane, QLD, Australia, (16-16). 2 June 2006. Herbert, A, Shergold, J, Hallahan, A, Little, M and Lockwood, L (2005). Nonmyeloblatic allogenic stem-cell transplants at the Royal Children's Hospital, Brisbane. In: Australian and New Zealand Children's Haematology and Oncology Group Annual Scientific Meeting, Melbourne, Australia, (). 9 - 12 June, 2005. Herbert, Anthony, Cotterill, Andrew, Suppiah, Ram, Hart, Derek and Vuckovic, Slavica (2004). Peripheral blood dendritic cells in children with acute leukaemia and febrile illness. In: Australian and New Zealand Children's Haematology and Oncology Group Annual Scientific Meeting, Coolum, Queensland, Australia, (). 8-11 July 2004.